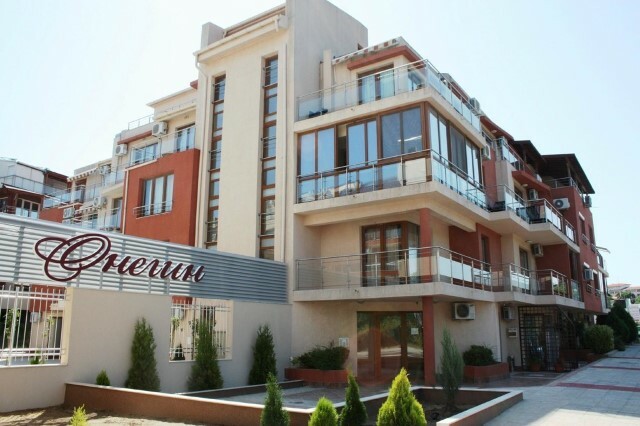 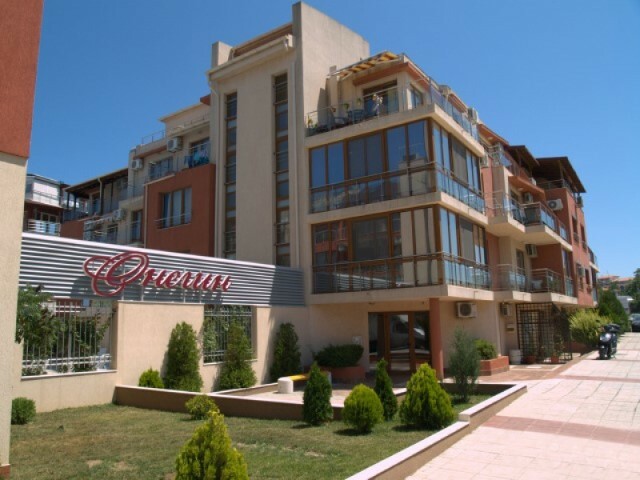 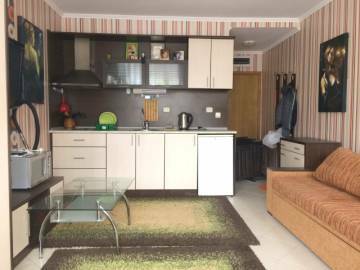 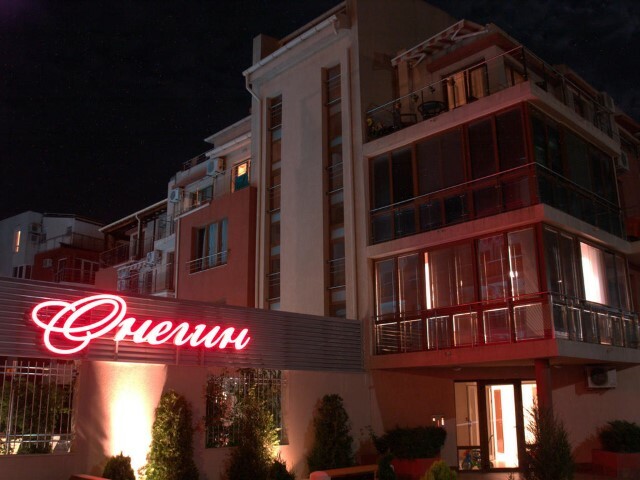 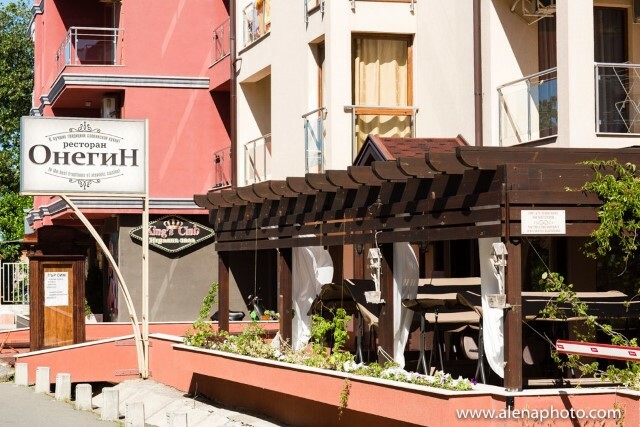 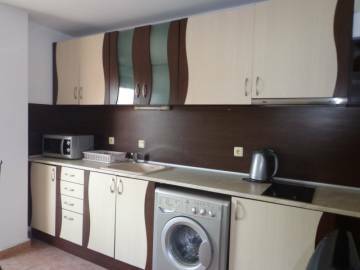 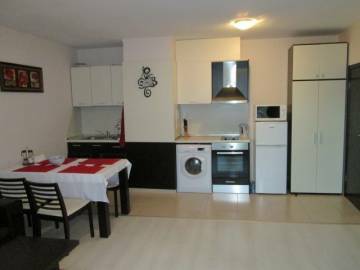 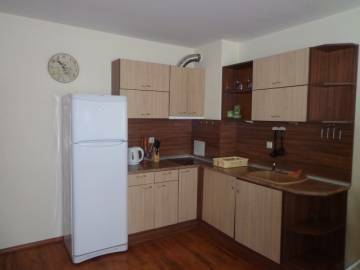 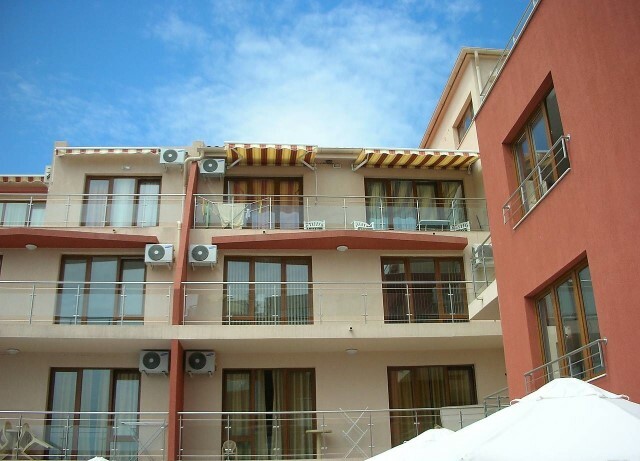 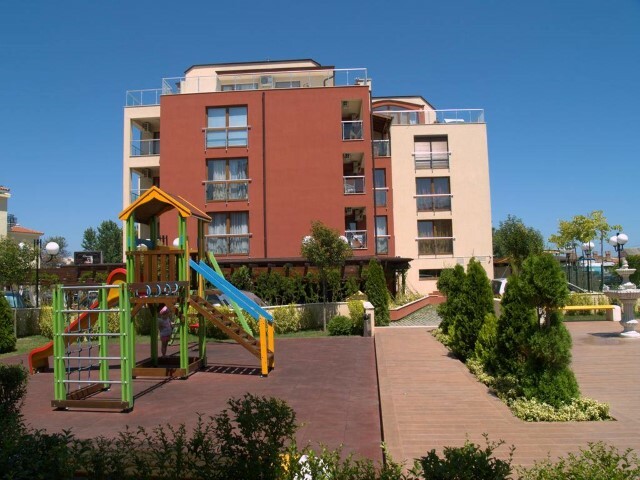 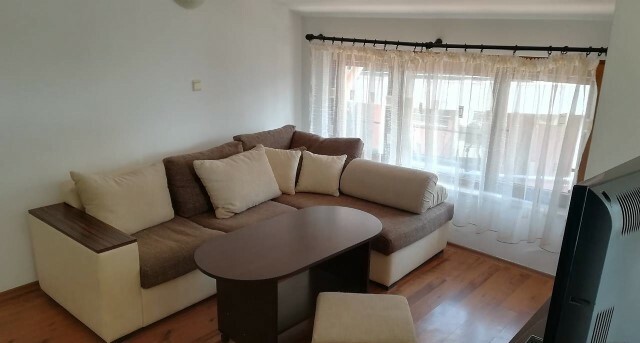 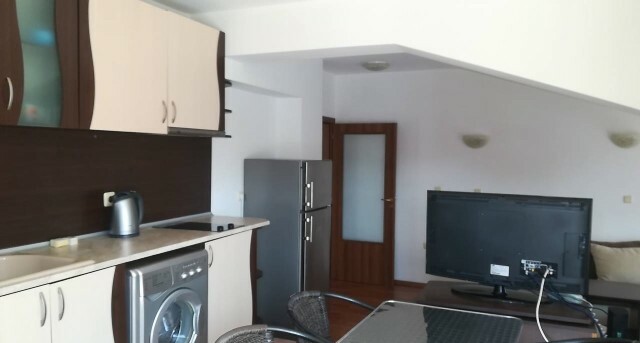 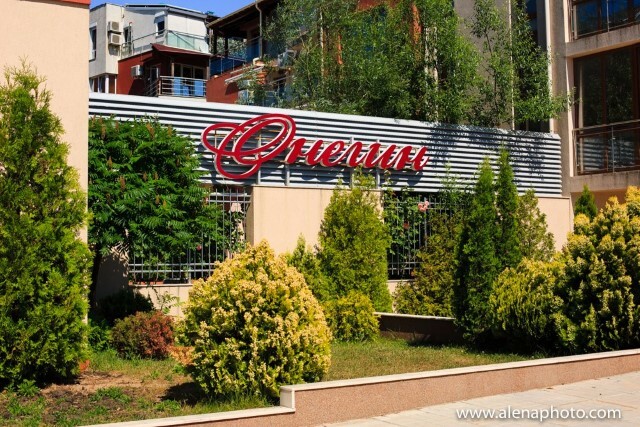 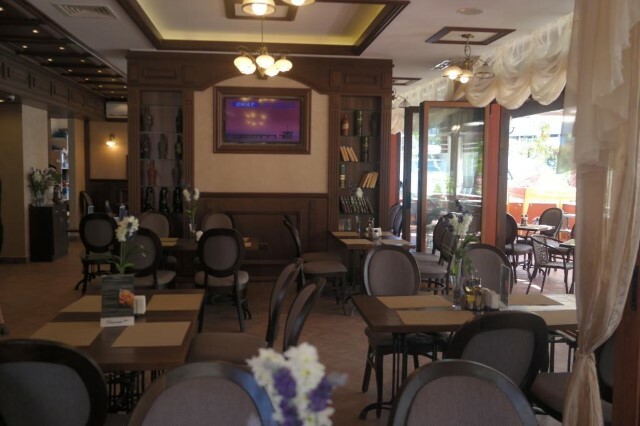 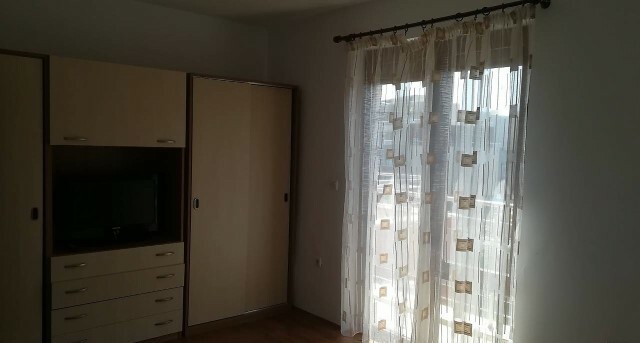 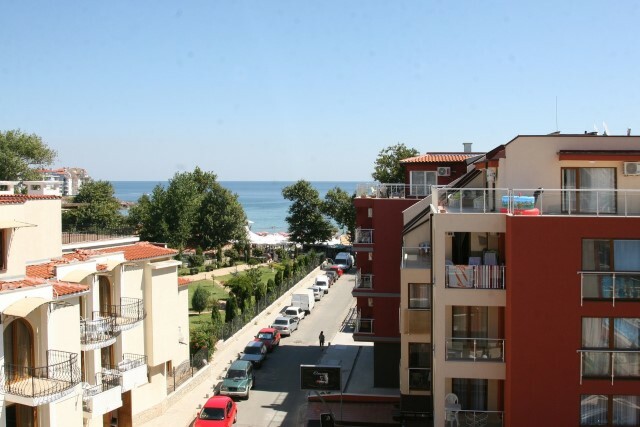 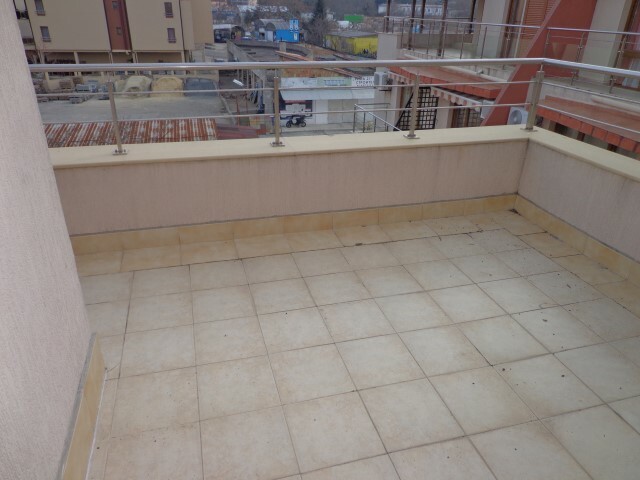 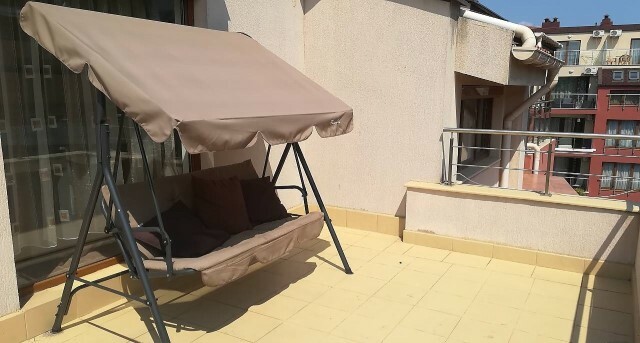 Description: We offer for sale a wonderful, fully furnished, two-bedroom apartment in Onegin SPA complex for year-round use, which is located on the first line or just 50 meters from Harmani beach, in the new part of the town of Sozopol and 400 meters from the town center. 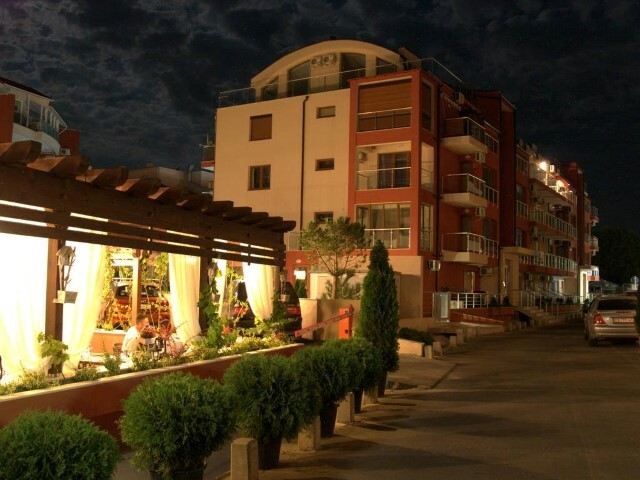 "The merry street" is 20 meters away from the complex. 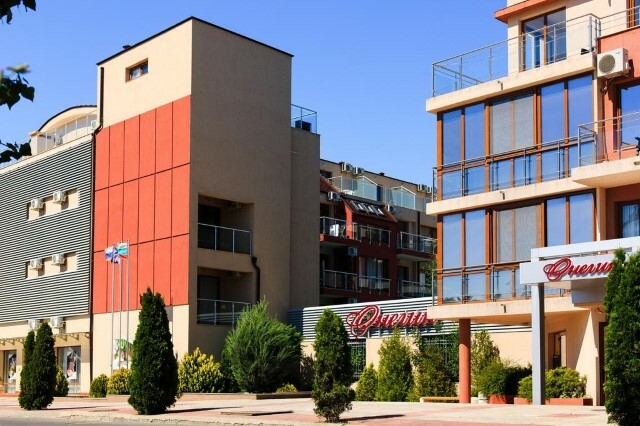 Lidl supermarket is located 1 km from the complex. 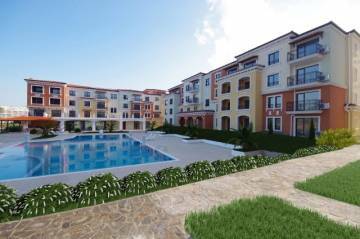 The complex is within walking distance of transport, shops and the Bolero supermarket. 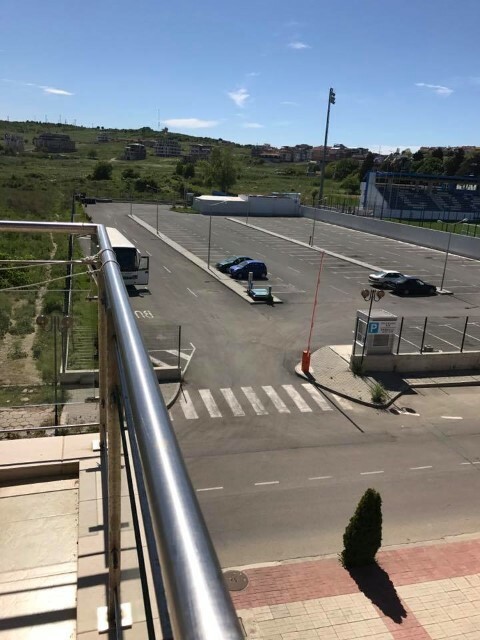 There is a paid car parking and rent-a-car next door. 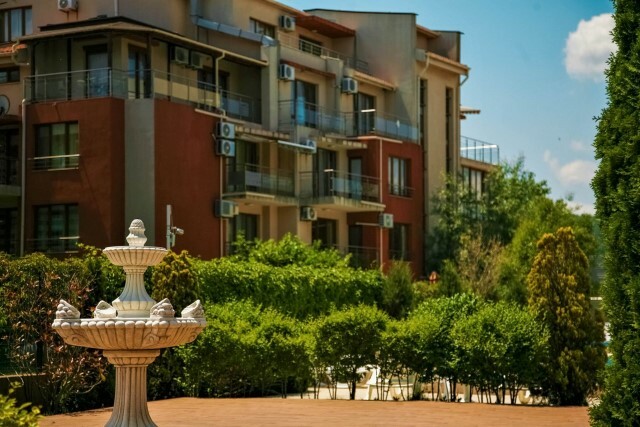 The complex offers 85 apartments, 35 studios and hotel rooms. 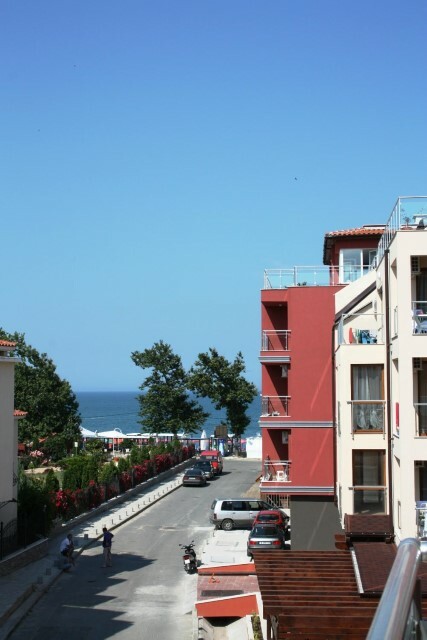 Many of the properties have sea views and an access to the pool. 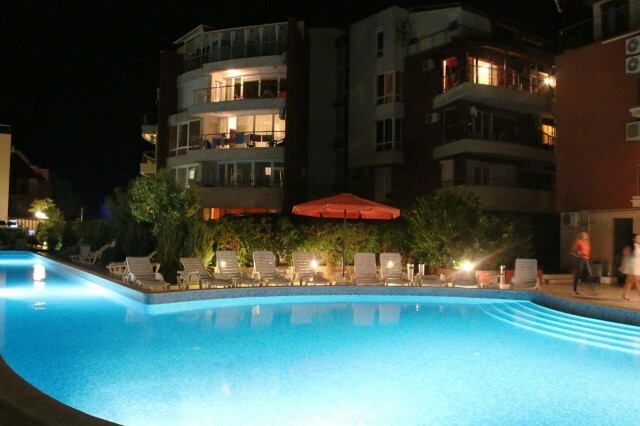 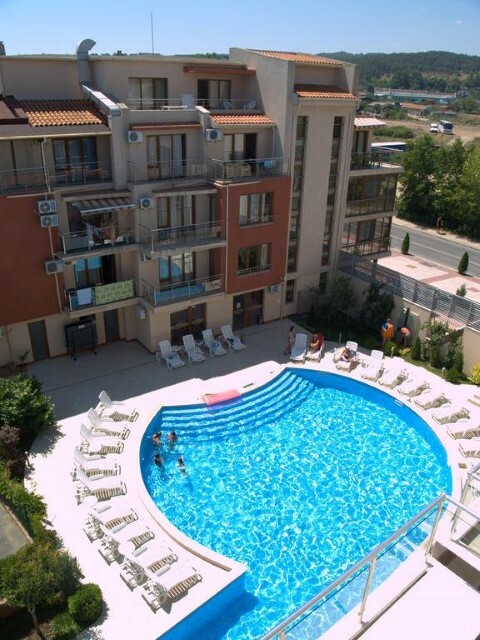 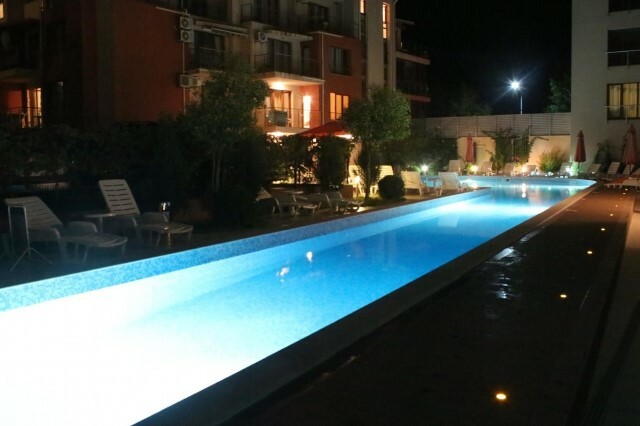 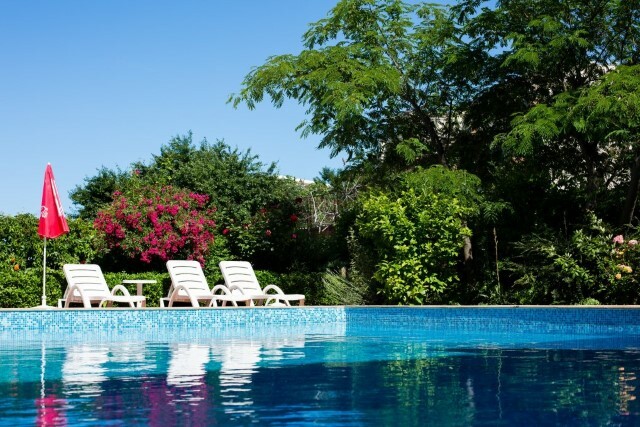 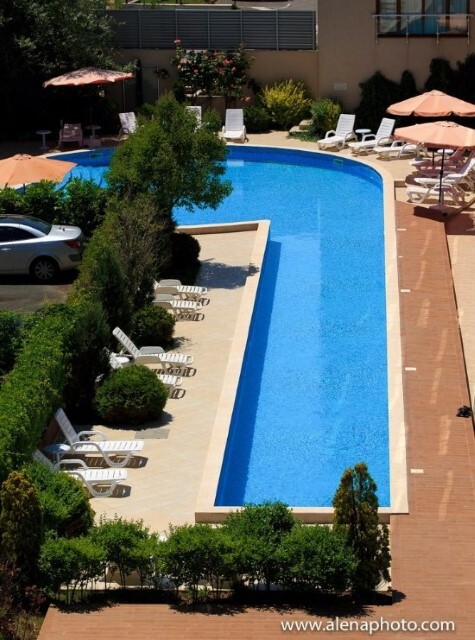 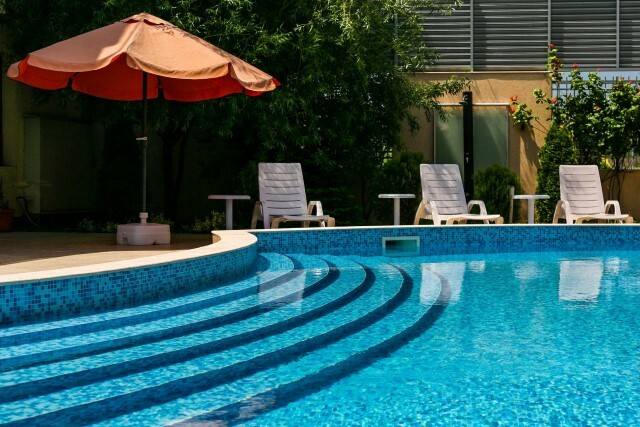 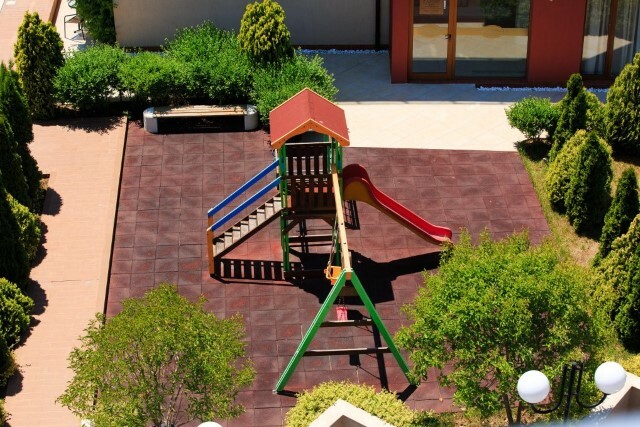 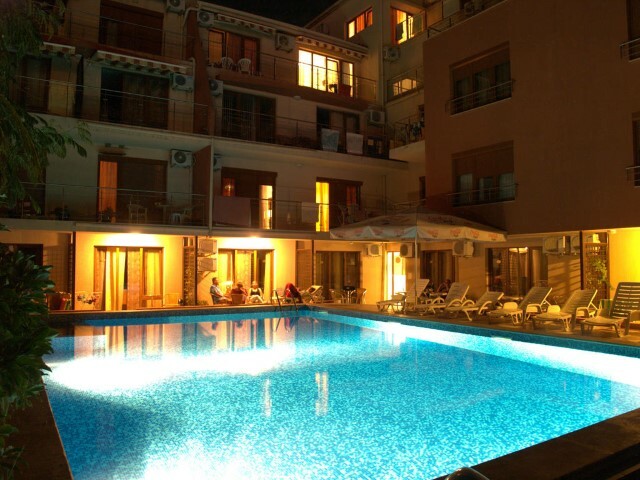 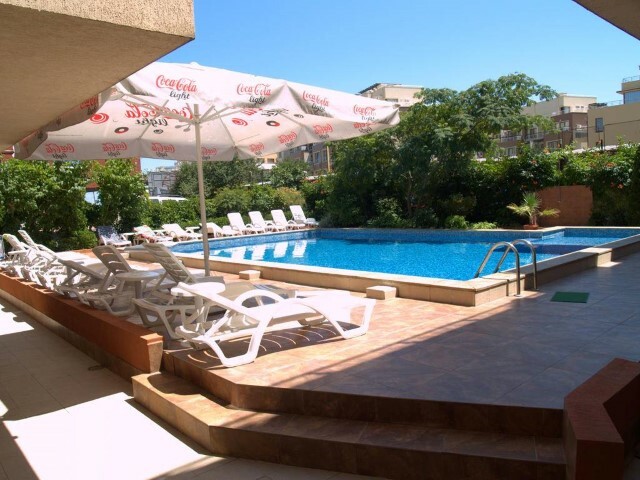 The complex has a well-maintained and beautifully landscaped territory, two outdoor pools for children and adults with sun loungers, a pool bar, a SPA center, a restaurant, a children's playground, a parking, a lift and all year round, 24-hour security with video surveillance and controlled access. 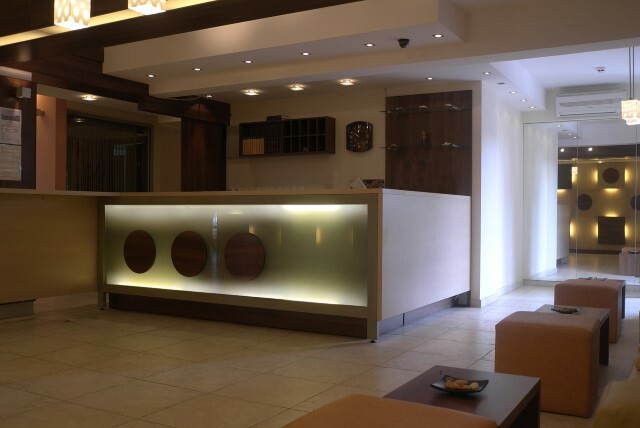 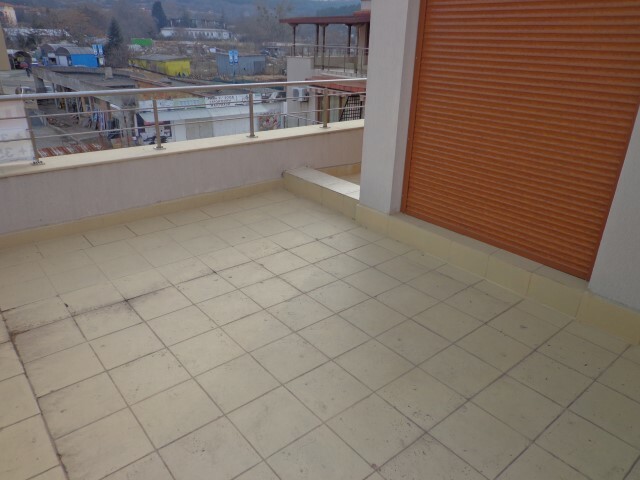 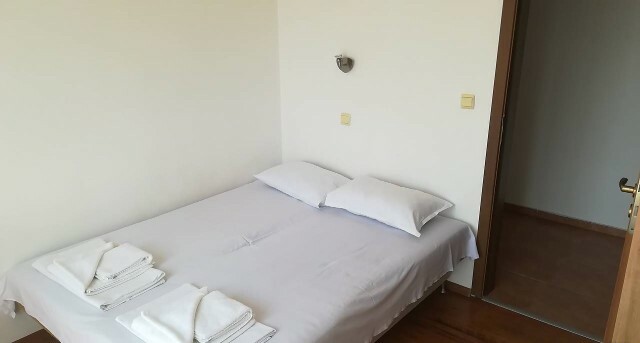 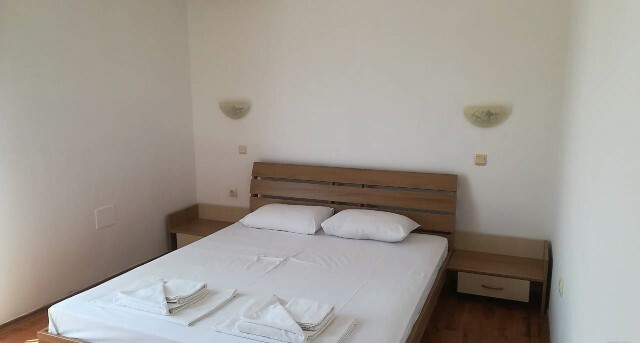 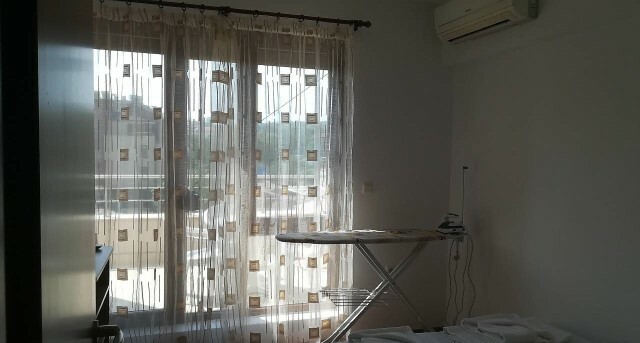 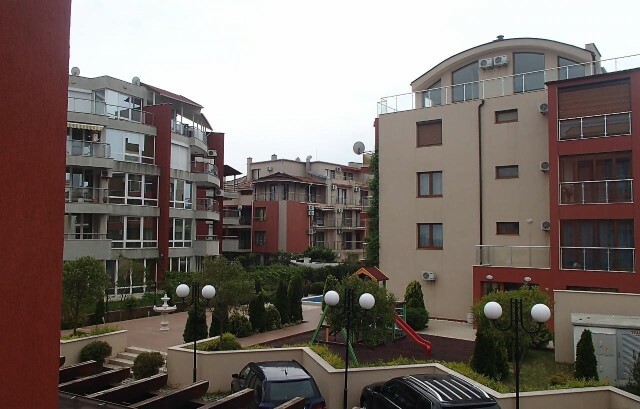 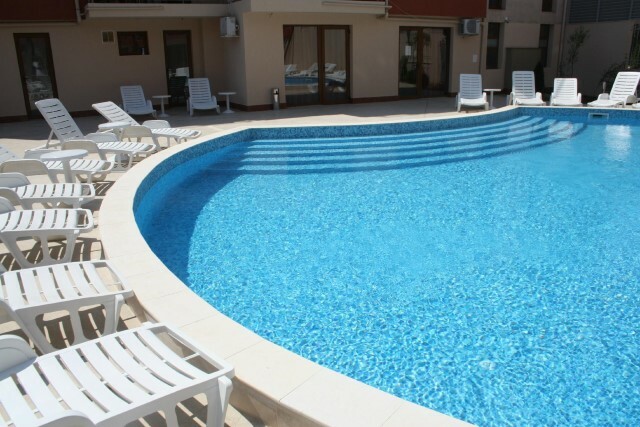 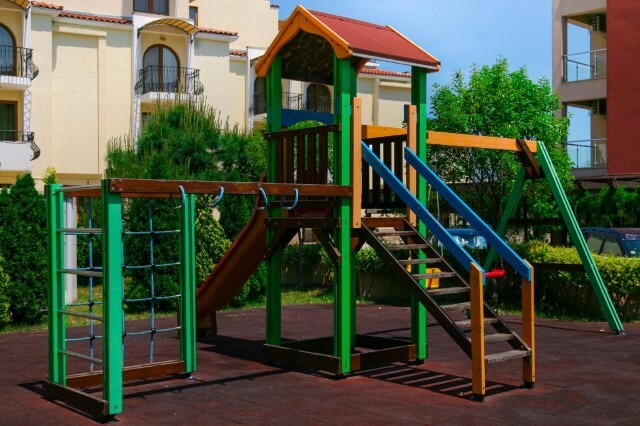 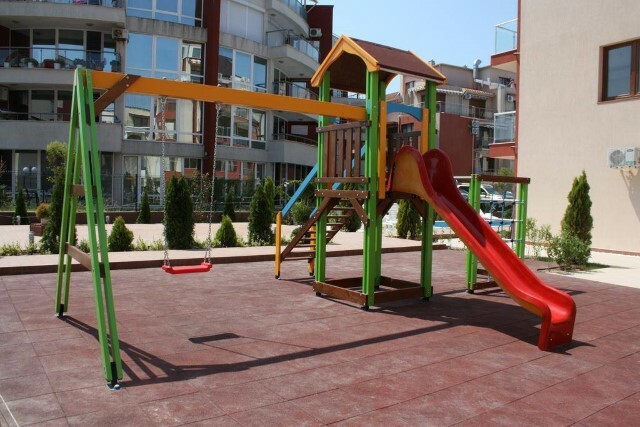 The entire complex is provided with free Wi-Fi internet and in the properties are provided with Internet access, intercom system and internal telephone connection. 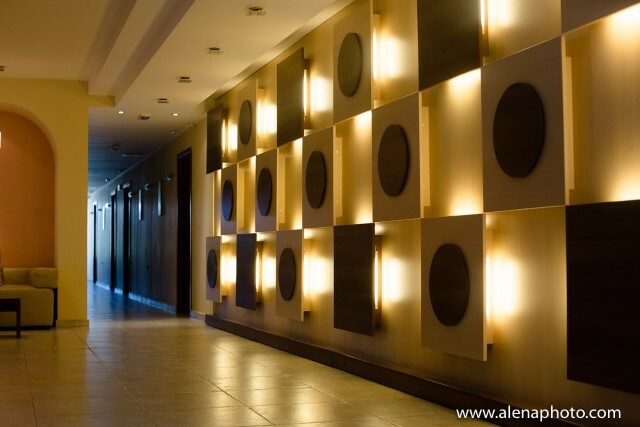 The contemporary design of the complex creates an atmosphere of relaxation and timelessness. 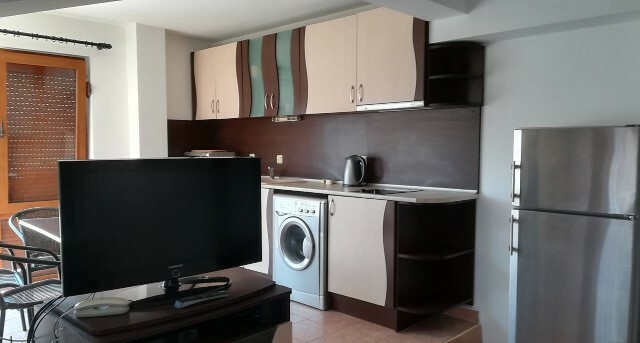 The apartment has a total built-up area of 117,53 sq.m, a built-up area of 104 sq.m and is located on the fourth floor, with southern exposure, with pool view, with partial sea and mountain views. 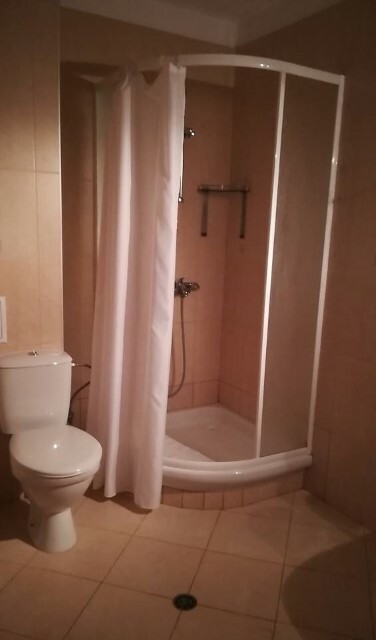 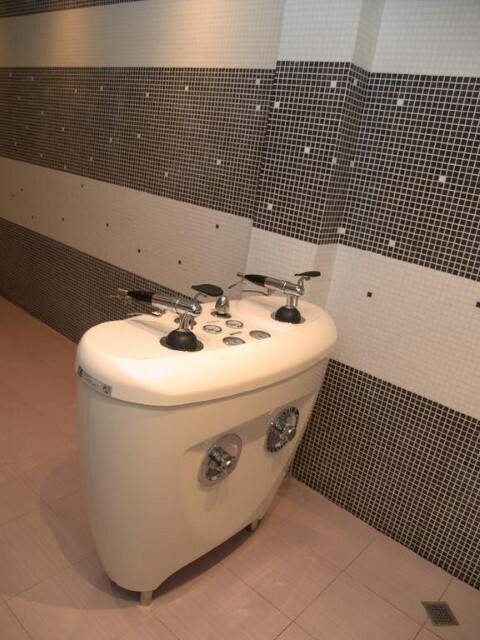 It is suitable for both private use and rental. 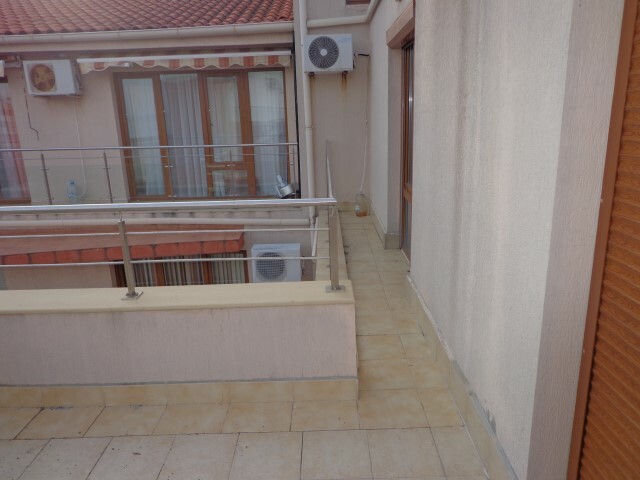 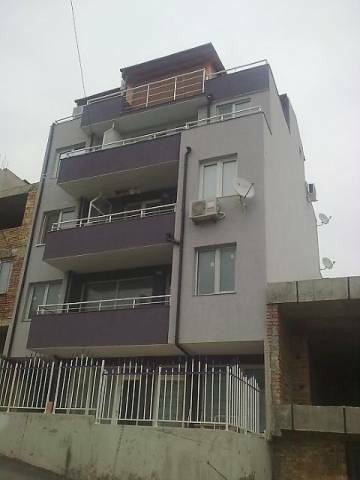 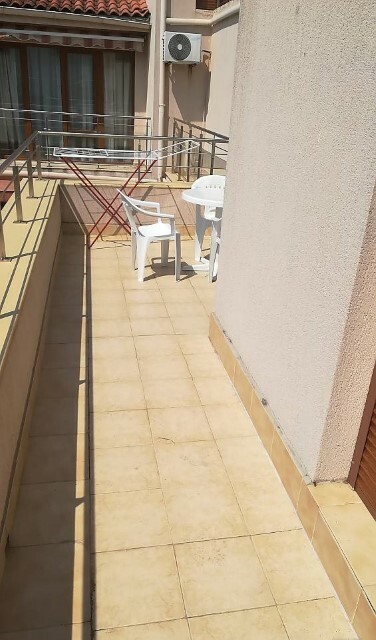 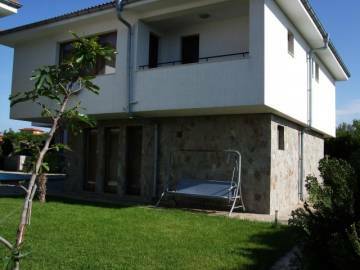 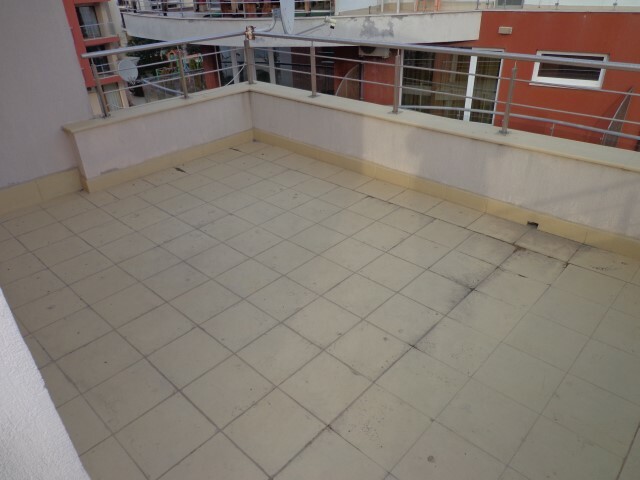 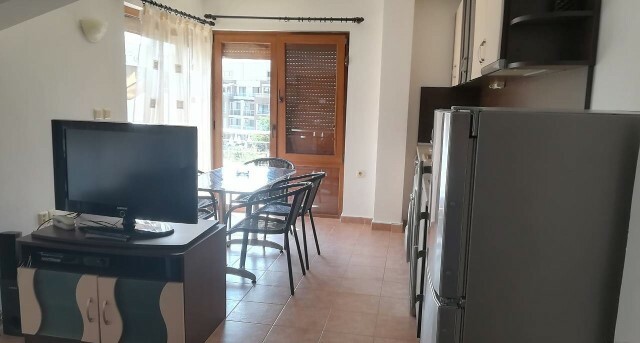 Distribution: corridor, living room with kitchen and dining area on two levels, two bedrooms, large shower room with toilet and large terrace with an access from the all room. 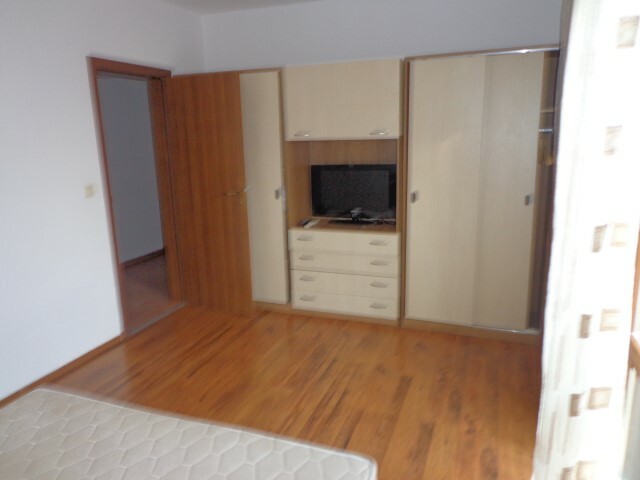 There is a storage room with an area of 2,74 sq.m on the floor next to the apartment. 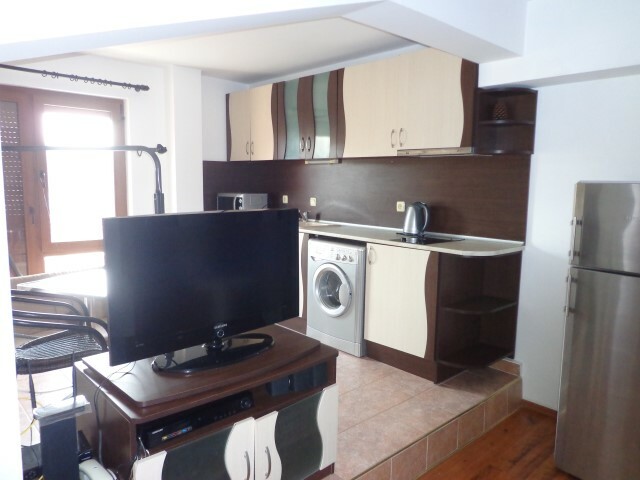 Finishing works: The apartment is fully finished: flooring - laminate in the living room and bedrooms and terracotta in the kitchen and in the corridor; walls and ceilings - latex painted; shower room with toilet is fully finished and equipped, terracotta tiled floor and faience on the walls, sanitary equipment - toilet bowl, sink, mixing taps, shower cabin, water heater; installed PVC joinery with mounted roller shutters; MDF doors; installed Air conditioning in the bedrooms. 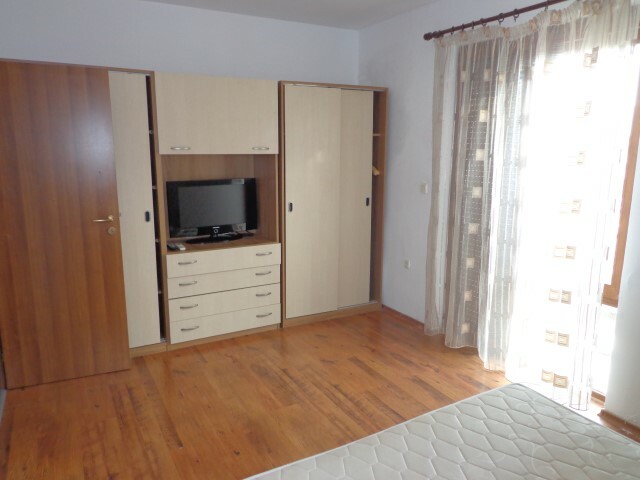 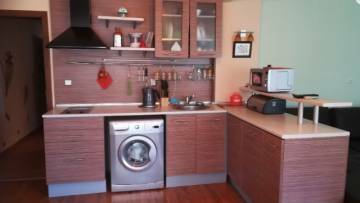 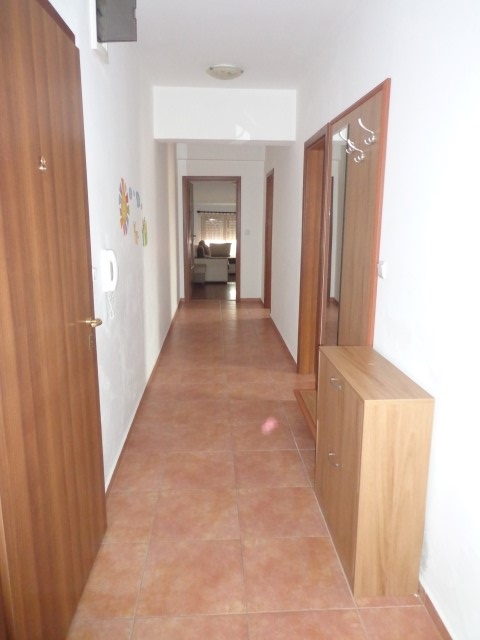 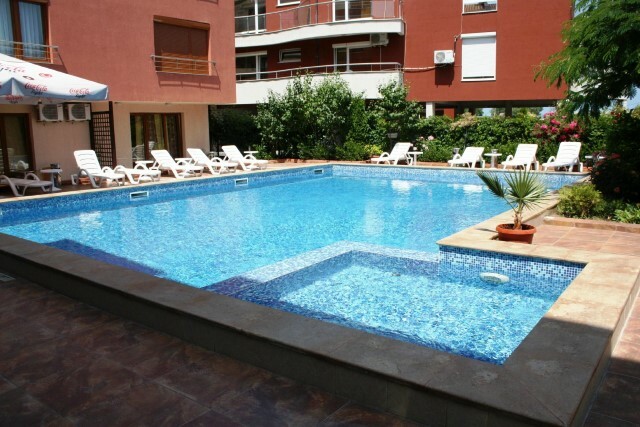 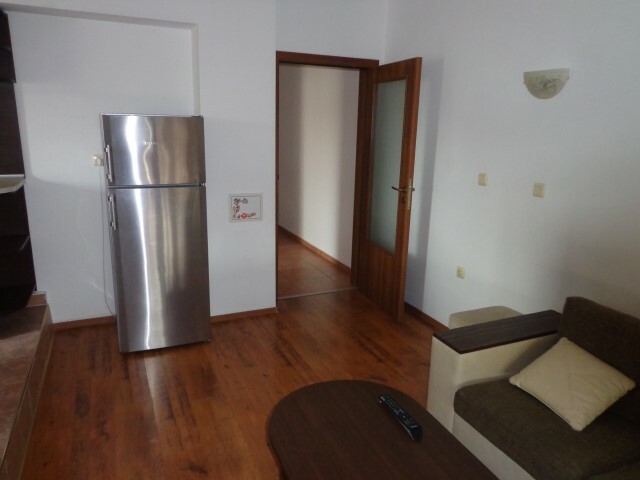 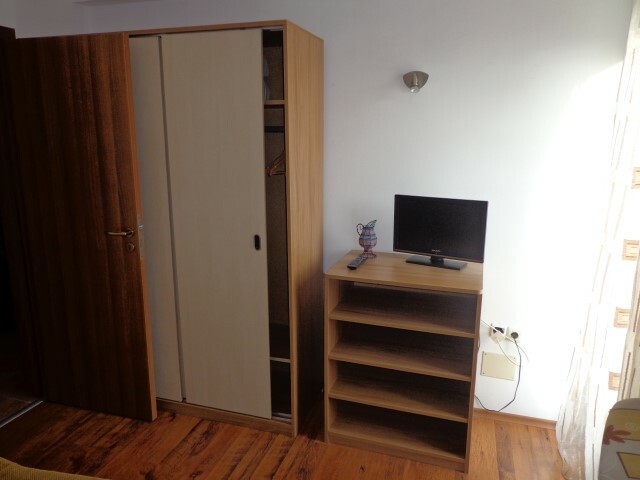 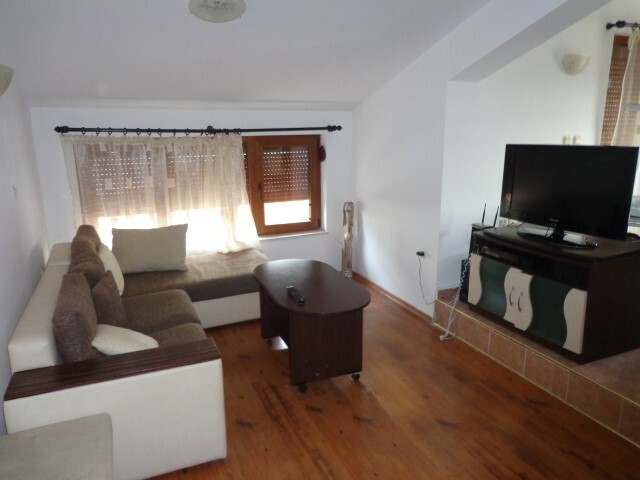 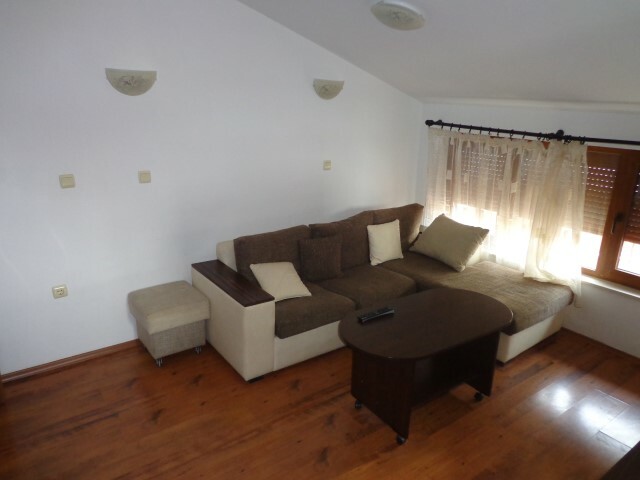 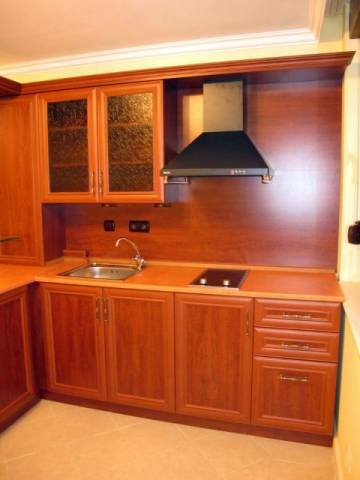 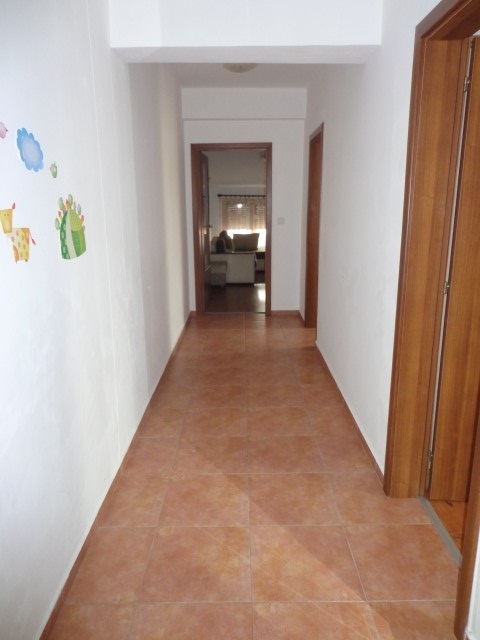 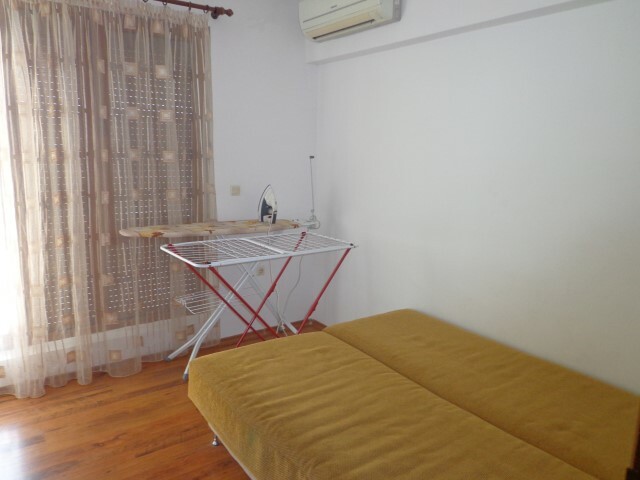 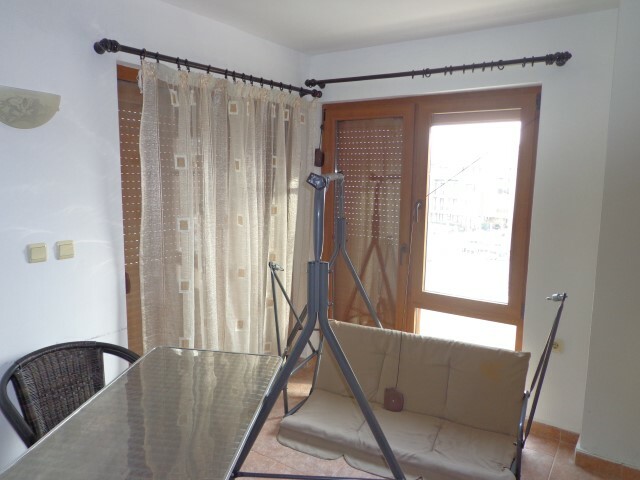 Furnishing: The apartment is for sale fully furnished, equipped with the necessary equipment and ready to use. 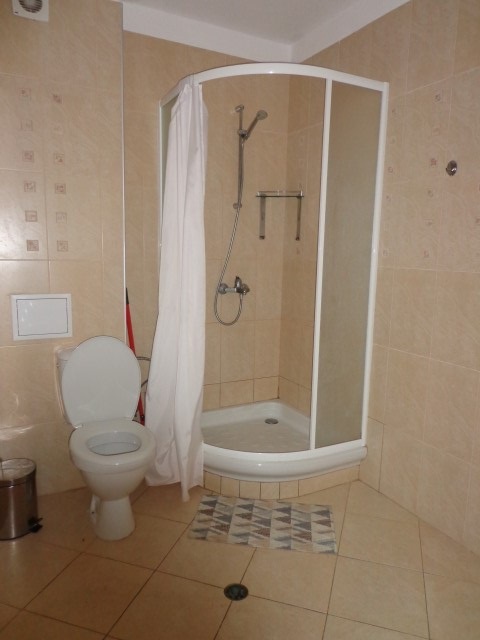 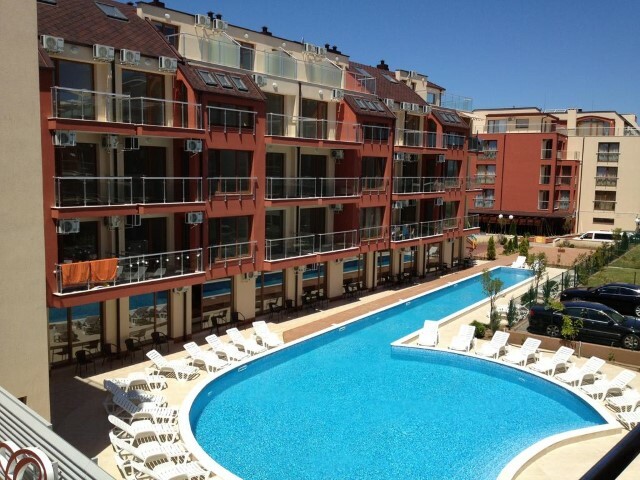 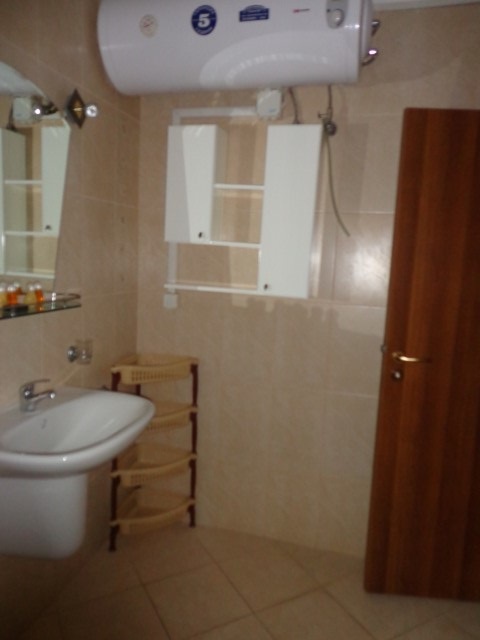 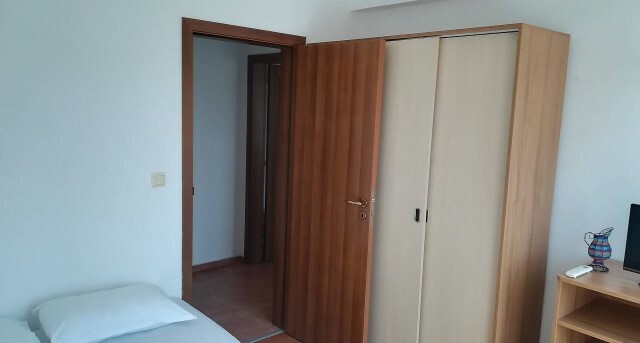 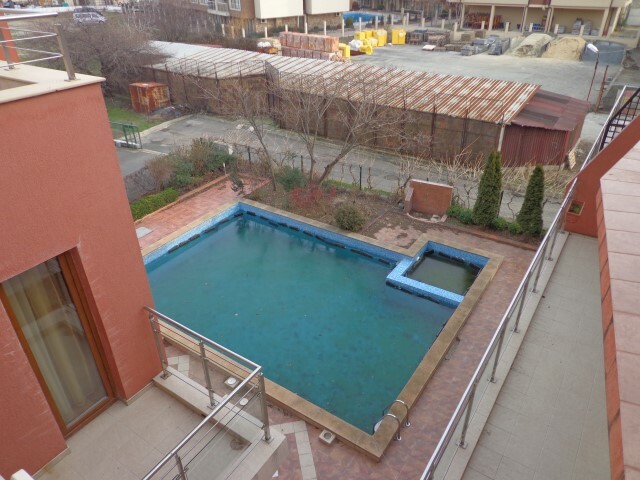 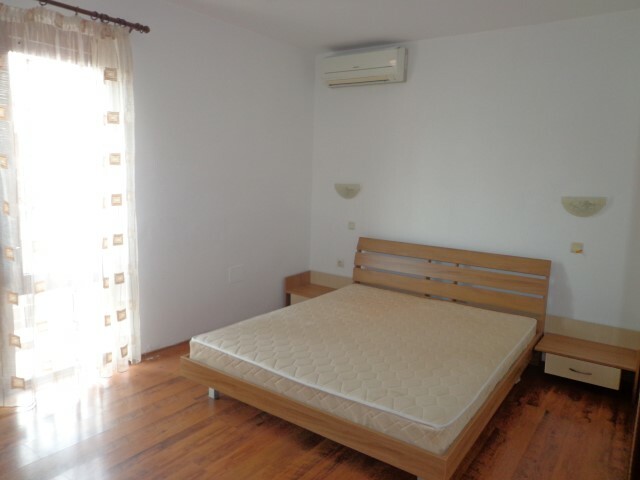 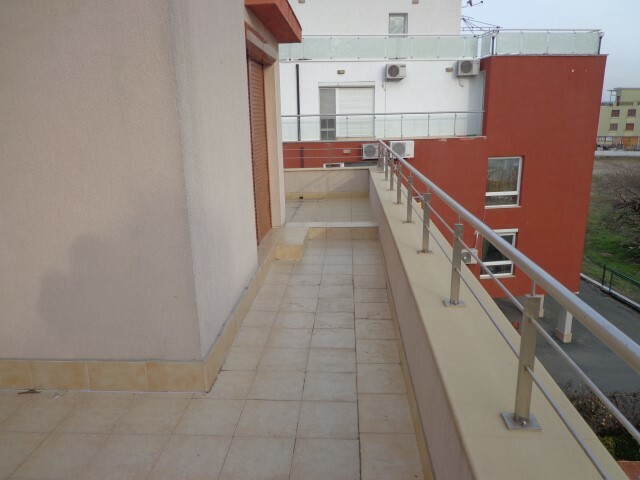 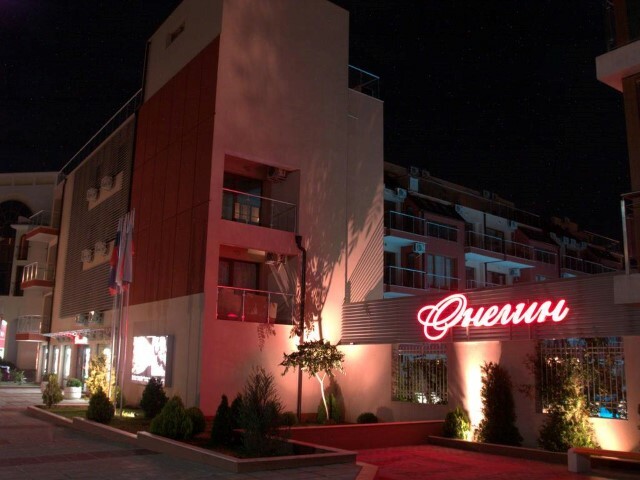 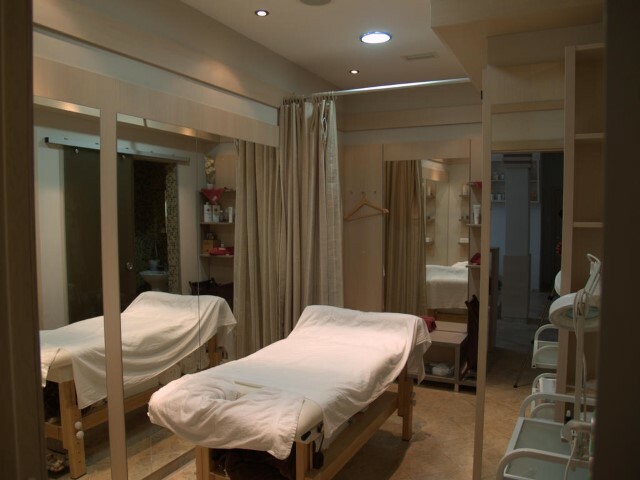 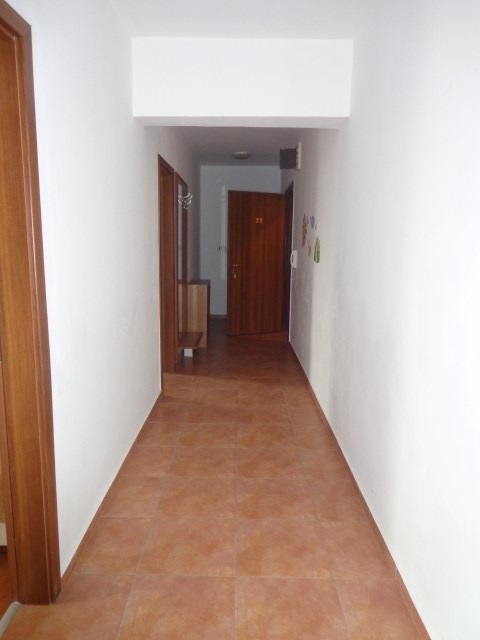 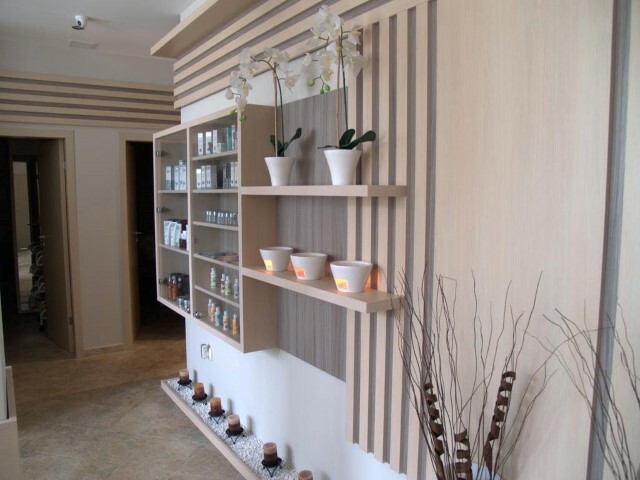 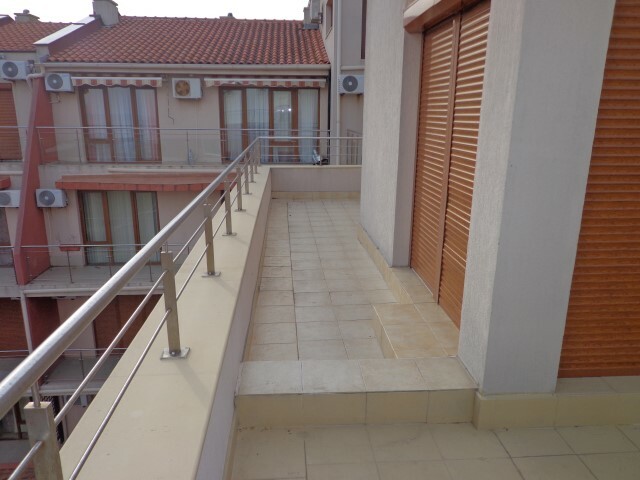 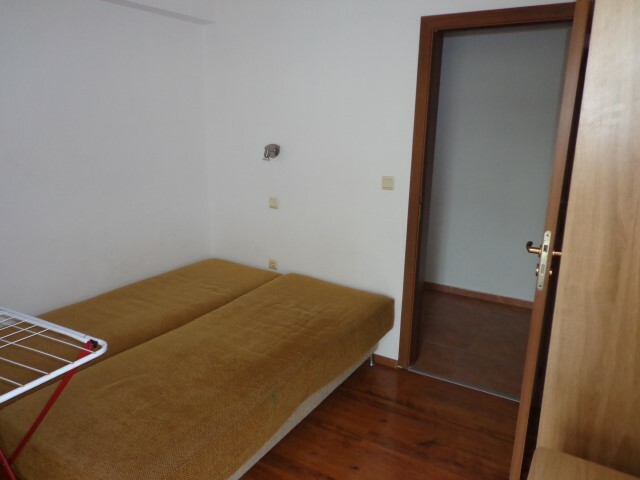 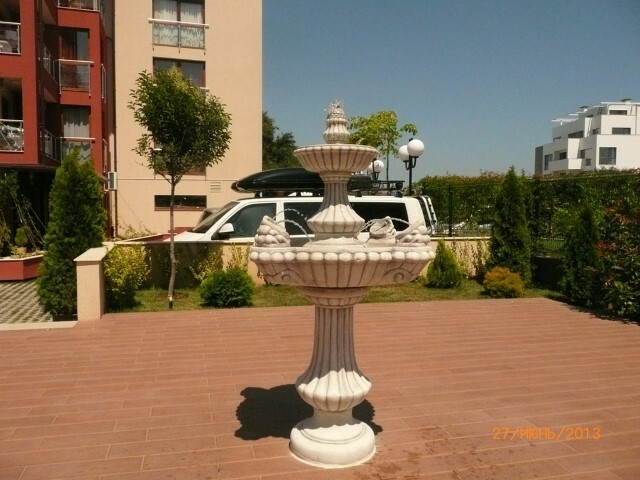 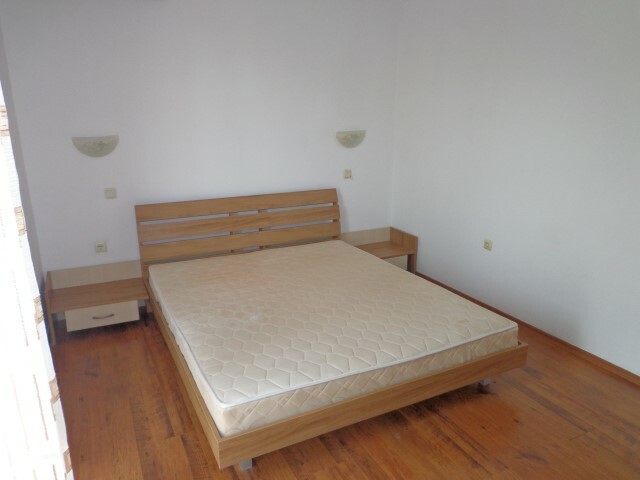 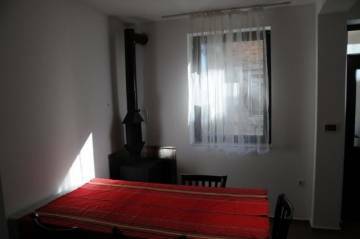 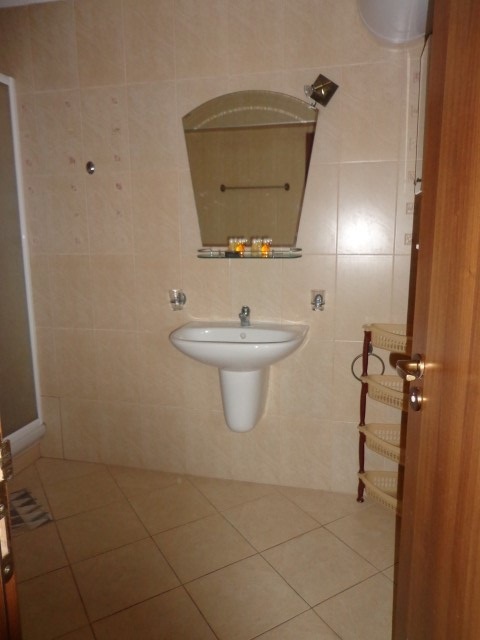 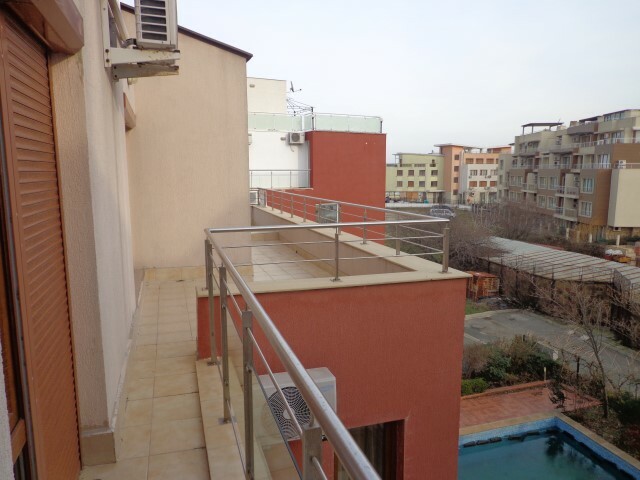 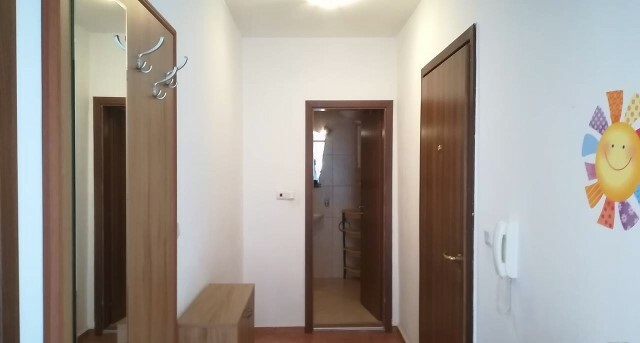 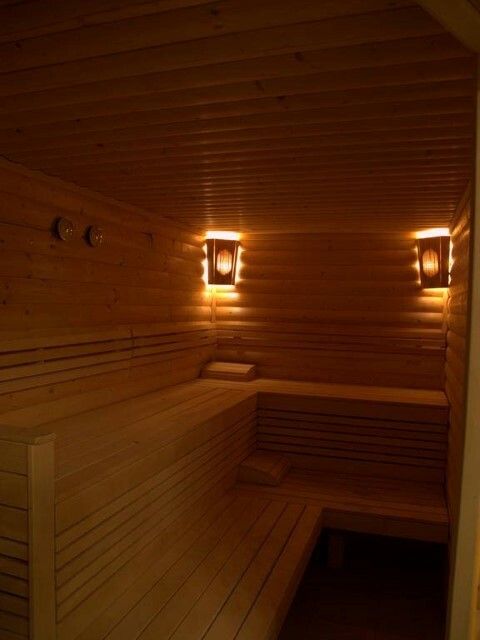 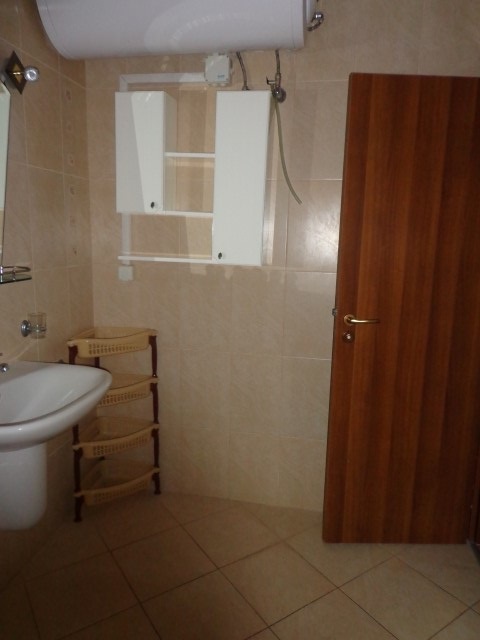 Annual maintenance fee: 7,20 EUR/sq.m without VAT.